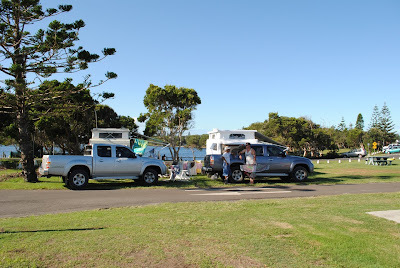 Here are some photographs of our camping experience at Lennox Head. Such a pretty pretty place. Our campsite was right on Lake Ainsworth and across the road from the beach. Tomorrow I will share my thrift store finds and tips for shopping in the area. Even though camping I always pay attention the the little things. A pretty tablecloth. Floral Cushions. Deck chairs in bright colours. Hope you enjoy. How fun, we just got back from the lake for the weekend. Water too cold here, I think you had more fun. That first pic is FANTASTIC! You guys look like you had so much fun! oh, that first photo is wonderful! 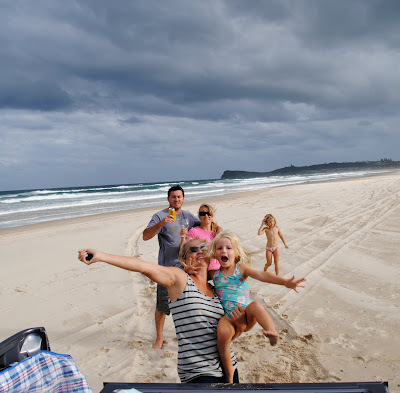 really captures a perfect family day at the beach ... and your outdoor table! [sigh] so sweet. How happy you all look, and I like the romantic prettiness of your approach to camping. great shot of that duck!. love that family shot. Little things make a huge difference . Glad you had a lovely time . Wow.--that looks so warm and inviting. Like you I try to pay attention to details too. I totally love the first photo!!! it is EXCELLENT! Pretty table setting and your family is beautiful! TY for sharing! The prettiest campsite I've ever seen! What a beautiful spot! I will have to remember that one when we travel around Aus. 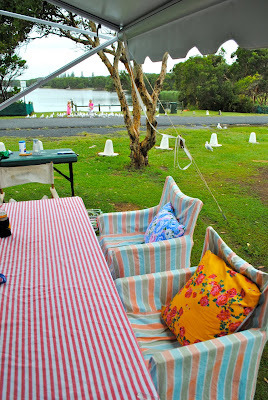 It is so sweet that you make sure you have your cute tablecloths and chairs with you even when camping!! I noticed the little things. Even your camper has amazing style!!! How happy and fun! 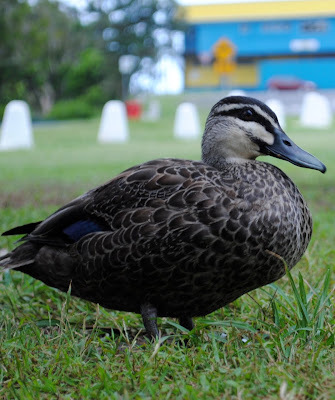 I love the duck photo. 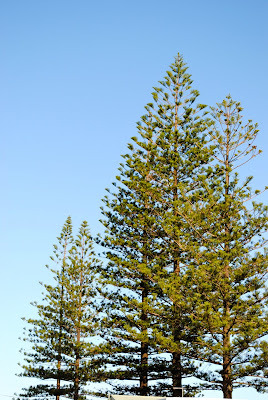 Pine trees are beautiful! Lucky you went away - looks like you missed some of the rain! Wow you can even make camping look pretty! I love that first photo too :) looks like you had a lot of fun! Oh how wonderful! I LOVE LOVE LOVE picture 1! What fun! Love those striped chair covers! hola simone!!! 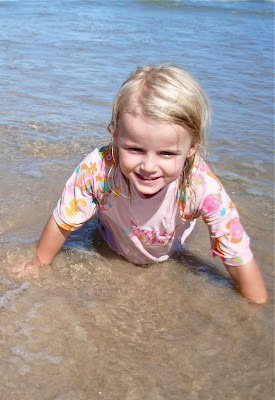 looking that marvellous beach...and all the happyness in your lovely family...how beautifull is your blog!!!!besos!! Those chairs at your campsite are FAB!!!!!! your pictures are so sweet. Oh my gosh! What a GORGEOUS stretch of beach! You lucky duck, you! you look like you had so much fun...i'm jealous...it's been too many years since we've had a vacation...wait...we didn't have one yet lol. Sorry to be rude but I love the picture of the caravan site. Would it be possible if I use it. My site is http://www.caravans2let.co.uk, please let me know. thank you and I do really love the photos!